MTSU raises sexual assault awa.. 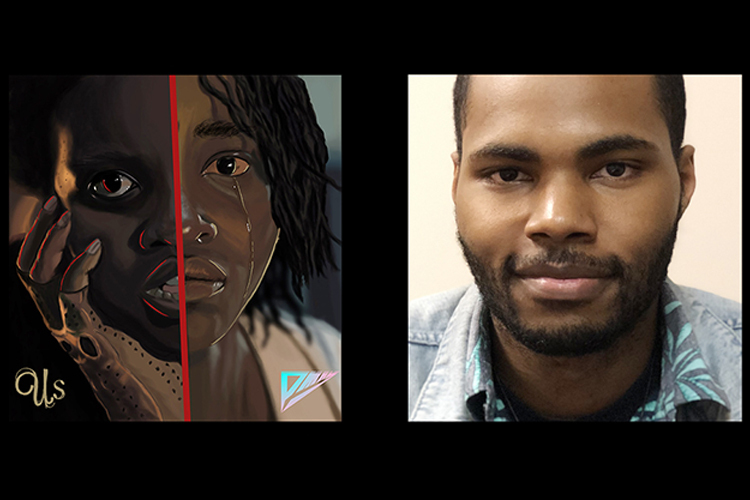 While the world’s watching Jordan Peele‘s newest creation, “Us,” from behind splayed fingers and popcorn boxes, MTSU junior Phillip Mayberry will be savoring the feeling of seeing his own art in one of the film’s trailers. Mayberry, a graphic design major from Union City, Tennessee, who now lives in Nashville, was one of thousands of fans around the world who answered an ongoing challenge, via Chocolate City Comics, Instagram and Universal Studios, to create artwork inspired by the new horror movie. The result is a photorealistic image of Oscar-winning actor Lupita Nyong’o‘s dual roles in “Us,” a split-screen treatment that’s as beautiful and puzzling — and horrifying — as the characters. Mayberry’s girlfriend, who’s also his publicist, told the Department of Art and Design student about the opportunity, and over New Year’s weekend, after a three-day fast, inspiration came to him. Four hours later, it was done. “I figured I’d take part in it, not thinking that anything would come out of it,” Mayberry explains, “but I put my best creative juices together and came up with what I came up with. Next thing he knew, Nyong’o was mentioning him and four other artists on her own Instagram feed and linking to a new trailer. 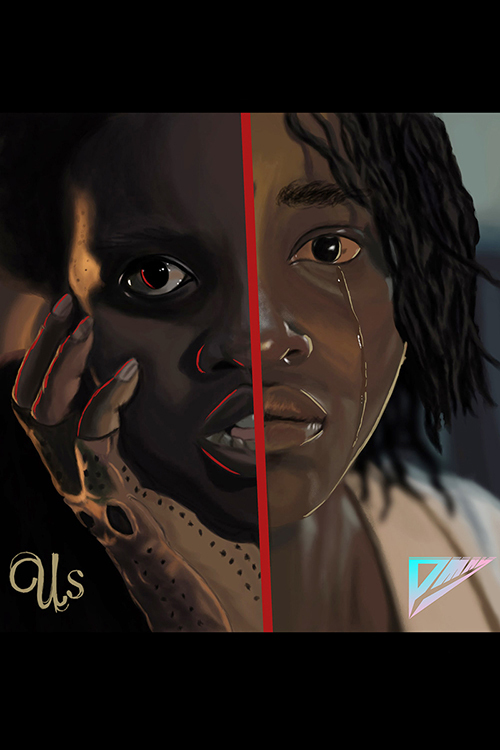 “Ever since we shared the first glimpse of @UsMovie, the fan art creations have been phenomenal,” she posted. You can watch the video below. Mayberry’s artwork is the first featured. “Just the way they edited the video to make it look like the picture that I’d made … I was glad to see how they did that,” he says quietly. Peele expressed his gratitude to the artists on the movie’s official website before the March 22 nationwide premiere, saying, “The fan art response to the Us trailer has been inspiring. 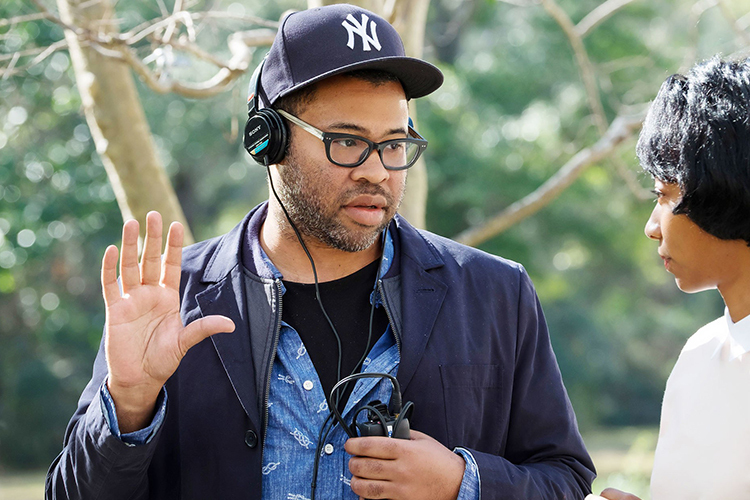 Peele also made use of fan art for his 2017 directorial debut, “Get Out,” for which he won an Academy Award for best original screenplay. The film also earned him nominations for best picture and best director. “Art is the one tool we have against the true horrors of the world,” Peele said then. Mayberry creates his art in Photoshop, working, especially over the last four years, to hone his skills with every project. The results all feature his unique perspective on the world. “I do the Art Crawl in Nashville once a month and people always walk up to my artwork and say ‘Are these pictures, or did you draw this?’” he says with a grin. He’s been drawing since childhood, “since I was 4 or 5, ever since I was able to pick up a pen, a pencil, a crayon, anything,” and he credits his grandmother as one of his greatest fans and supporters. Mayberry says he’ll continue refining his skills and learning new ones. You can see more of his work at http://instagram.com/pmayxart. “I’m getting as many eyes as I can on my artwork. After school, I’d like to remain in the art field, doing either concept art, animation, and even fashion design — pretty much anything in the design field, because I want to keep growing as an artist and not be boxed in to any one single thing. I just want to leave my mark,” he says. MTSU graphic design major Phillip Mayberry of Nashville created this artwork depicting actor Lupita Nyong’o in her dual roles in Academy Award-winning writer-director Jordan Peele’s new film, “Us.” Mayberry’s artwork was one of five pieces featured in a trailer for the movie, which opens March 22 nationwide. You can see more of Mayberry’s work at http://www.instagram.com/pmayxart.